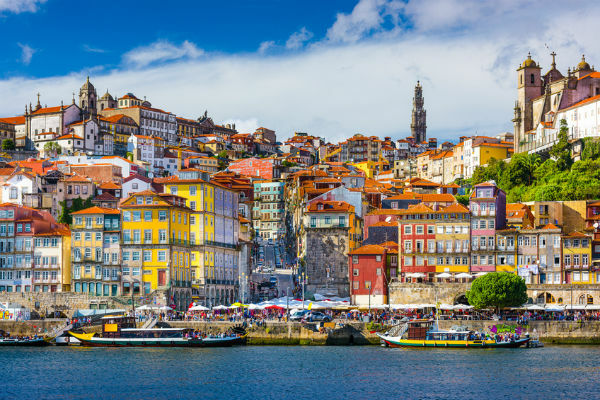 Porto wins hearts with its laid-back charm, cobblestoned Old Town and elegant medieval bridges. It’s easy to fill a few days experiencing world-class museums and churches, incredible restaurants and wine cellars. The Old Town, located in the Ribeira district, is a UNESCO World Heritage site and well worth wandering through to discover the beauty of the city’s crumbling buildings and unassuming history. Since the 18th century, Porto’s prestigious wine lodges have been opening their doors for port tasting so feel free to sip away whilst nibbling on slices of delicious local cheeses and cured meats. Vegans and vegetarians need not miss out either. There are several vegan and meat-free restaurants to choose from, in addition to a full variety of great restaurants to suit all tastes and pockets. Solo travellers might enjoy meet ups with others for a spot of port tasting, restaurant outings or other activities such as cinema trips, museum tours or sports and games. Women travelling solo generally feel safe in the city which has no no-go areas, provided you exercise the usual caution when out and about alone. Porto is gay-friendly, although conservatively so, and hosts an annual gay pride procession down Avenida dos Aliados. However, unlike Lisbon, Porto has no gay neighbourhood; simply a number of pleasant, laid-back bars dotted around the city. Once you’ve seen the city, Porto’s Douro Valley and its Atlantic coastline both offer great opportunities for hiking. If you are feeling adventurous, Trilhos organise mountain treks for all levels of ability, along with mountaineering, rock climbing and other outdoor activities. Another great option is to relax on golden sands and soak up the Portuguese sun. Head to Vila do Conde’s beach, just 33km from Porto city centre and accessible via the red metro line to Póvoa de Varzim. Here you can sunbathe, swim and surf along a seemingly endless stretch of glorious coastline. The Portuguese capital is a picturesque, cosmopolitan and cutting-edge city that effortlessly blends modernity with tradition despite being Europe’s second oldest capital after Athens. Belém offers the opportunity to learn about Portugal’s famous explorers who departed from here on their incredible voyages of discovery. Don’t miss the UNECO listed Tower of Belém and the Monastery of the Hieronymites. Top restaurants are springing up throughout the city and a collection of trendy clubs and bars along the riverfront will also tantalise your taste buds. Don’t leave without indulging in the nation’s much-loved bacalhau (dried, salted cod recipes) and fresh seafood. The city also boasts three Michelin starred restaurants (Feitoria and Eleven) plus countless tascas (taverns), vegetarian restaurants, as well as gourmet food markets. Lisbon city is well served by the metro which also links to the international airport, making it easy to get around. If you prefer, download the Uber app to get a cab ride in a matter of minutes. Solo travellers need not go it alone all of the time in Lisbon. There are plenty of meet up opportunities to share your experiences with fellow travellers and locals alike. If you are travelling on a budget, the city offers several low-cost hostels. Women are safe to walk the Lisbon streets alone, provided they use the usual caution when negotiating a big city. After dark, try to avoid Monsanto Park and Parque Eduardo VII. Lisbon is gay friendly since the relatively recent decriminalisation of homosexuality in 1982 and acceptance of gay marriage in 2010. Lisbon Beach offers some good tips for gay travellers in Lisbon. If you can’t resist the Portuguese sunshine, you’ll be looking for a beach or two to kick back on during your stay. There are plenty of sandy beaches to choose from, ideal for combining the fun of the city with the relaxation of the beach. For all of your cover options in Portugal, read more on our page dedicated to Portugal travel insurance.